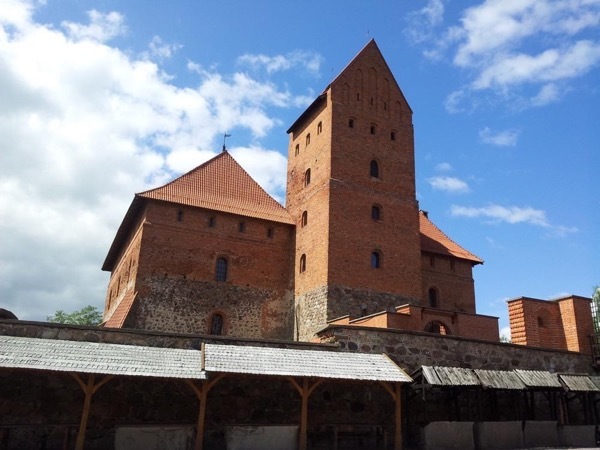 Local Private Tour Guide | Vilnius, Lithuania | Agneta L.
When I was 6 years old, my dad used to take me to Vilnius Old town and show most impressive buildings, tell incredible stories about famous historical people, who lived here once. Every weekend I was visiting the same city but in different centuries. We were exploring the secrets, western&eastern, bright&dark sides of a city, where three generations of my family were raised up. Now I am telling those stories professionally since 2007 for the ones, who want to fall in love with a city of colors and contrasts, who want to see the spots, where tourists are not taken and of course, who want a different tour. Let me lead you through the narrow streets of Old town, which remind of a spider's web and be the one, who answers your questions or hears your impressions. LET'S DISCOVER TOGETHER THE COLORS OF VILNIUS! Great job by Agneta I saw a great part of the city and most importantly learned about the history of the country. She knows her stuff and made the experience very memorable would highly recommend her. - Certificate of Photography school etc. - No guiding license for the Royal Palace and Genocide museum, I can only accompany you. - I can drive you in my vehicle (up to 4 persons).